This semi detached cottage with reversed accommodation, makes an ideal retreat for two or three persons. 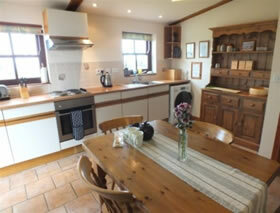 Ground floor entrance into the kitchen/dining room which has a tiled floor and enjoys sea views. BEDROOM 2 has an open beamed ceiling, a 3′ single bed. 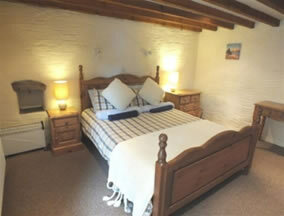 The beds will be made up with fresh linen and duvets for your arrival. The BATHROOM is also on the ground floor and has a bath with over head shower, WC and wash hand basin. 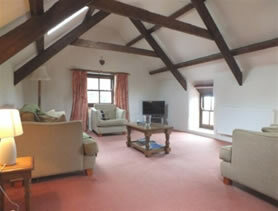 The SITTING ROOM is upstairs and has an open beamed ceiling, with sea views overlooking the Bay and Dinas Head. 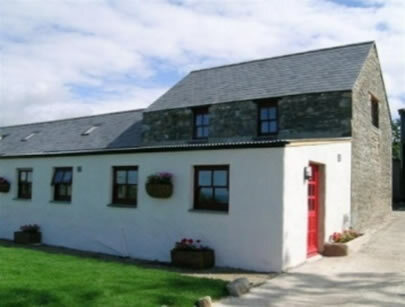 There is a garden to the fore of the cottage which enjoys superb sea views over Newport Bay and Dinas Head which makes an ideal place to enjoy the superb west coast sunsets. Garden furniture is provided.